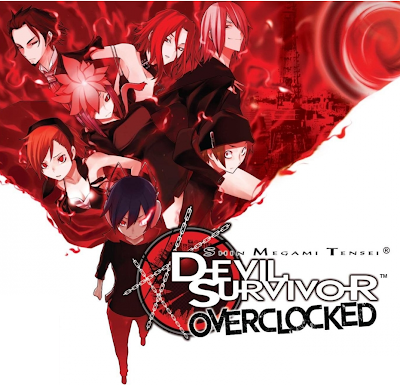 So a few months back I wrote a post comparing Devil Survivor to Ni No Kuni. In said post I essentially sung the praises of Devil Survivor (and denounced Ni No Kuni), but the thing is, at the time I had only played about 8 hours of the game. Since then I have played about 20 hours more of the game, and being just about done, I wanted to to give a more complete impressions on the game. Needless to say, that is where this post comes in. 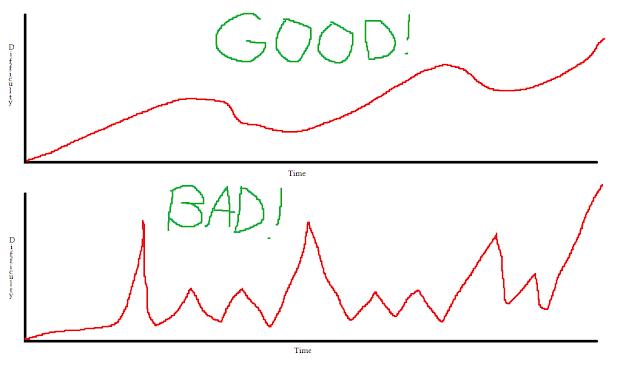 I feel I should note that my opinion of each game (and which is superior) has not changed at all, but there is certainly a lot more to say about Devil Survivor now. So before I go on, let's recap what I said in the aforementioned post. The long and short of it is that Devil Survivor has very deep gameplay. It has several mechanics all designed around the concept of building a cohesive team of demons with a large degree of customization. Said mechanics are also introduced at a pretty snappy pace, you get just enough time to figure out each mechanic, and it doesn't take forever to introduce them all. That customization isn't that easy to achieve though, as it typically requires demon fusion, and thus a lot of thought has to go into how best to achieve the desired results. The result is some pretty cool SRPG combat. 20 extra hours of play hasn't changed my opinion of this aspect of the game one bit. If anything, it gets even deeper as you go. Even without adding more mechanics, just the number of demons and abilities you get access to continually adds to the depth of the demon customization. Aside from the gameplay, one big thing that I wanted to point out about Devil Survivor is it's story. While it's presentation is very simplistic and it starts off just like any other JRPG, Devil Survivor actually has a surprisingly striking narrative. Three teenagers randomly get the power to fight demons and save the world, but they are also trapped in an area of Japan with no power and no cellphone service, with thousands of other people (most of whom cannot fight said demons). As the days go by the people trapped in the "Yamanote Circle" become more desperate and dejected, the demons get more aggressive, and unbeknownst to most, some unknown disaster is looming on all of them. What's so impressive about all this though is just the way each person react to it all. Their responses feels very realistic, and seeing the way each person handles the situation creates some pretty powerful moments. There is something very profound about the way that, in the middle of this battle against demons, mankind is still their own biggest adversary. Amidst all this, the decisions that the player can choose also really makes one think about the moral stance they want to take on things. It's all a very interesting situation, and I didn't expect it in a game with such a by the book opening. 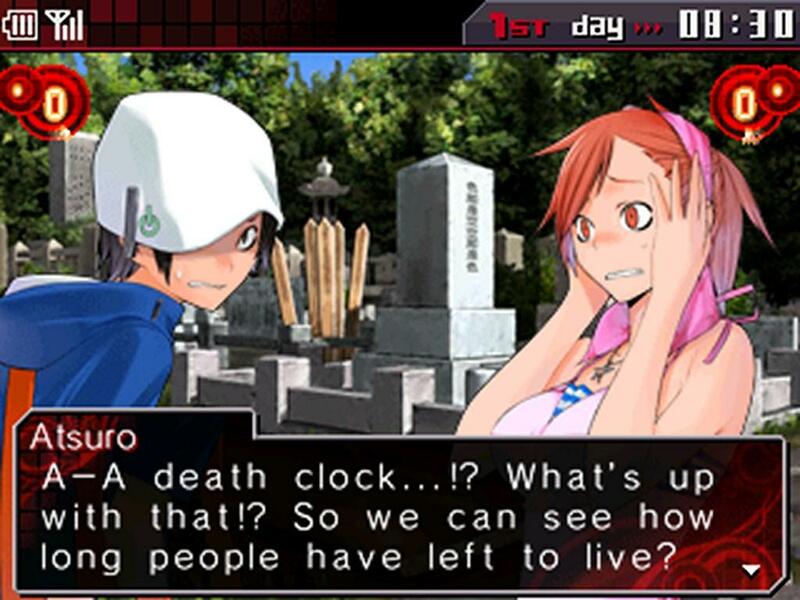 Unfortunately, things are not all rosy in Devil Survivor town however. The game suffers a lot in the area of difficulty. Of course there isn't anything wrong with a hard game, but the way in which Devil Survivor gets it's difficulty is somewhat problematic. Personally I really enjoy the battle system, I spend time fighting battles just because they are fun, and as a result am almost always sitting at about as high a level as you can be at any one point in time. Given that, I found fights which are just your team versus a bunch of demons to be pretty simple across the board. Problems arise in two different situations however. Firstly, there are several fights in which you have to protect NPCs. Second, boss fights. Granted, there is a difficulty option, but you can only choose your difficulty at the beginning of the game. I'm not about to start a new game because I'm stuck on a hard fight 25 hours in. It also doesn't help that there is no way to skip dialogue, so every time you fail a mission you are forced to sit through several minutes of dialogue before trying again (often including dialogue options, too). But let's get to the two aforementioned issues. Now when i say there are fights in which you have to protect NPCs, I'm sure every game out there knows instantly where I'm coming from. Everyone has played at least one game in which you have to protect some flimsy, incompetent NPC, or suffer a game over. Devil Survivor is little different. Killing the enemies is no problem, but making them not kill the NPC is a different story. What's worse is that said NPCs invariably start a long way from your party. This means that the challenge in this mission basically becomes nothing but "hope the NPCs don't die before you can get to them". This results in some pretty frustrating losses, because when you fail it feels like you got unlucky and/or there was nothing you could do better. It doesn't help that the NPCs rarely go where you would like, but this does make some sense in the narrative at least. Your party summons demons, it makes sense that civilians would be confused and perhaps scared of you. It's also kind of neat narrative-wise that you spend so much time trying to save other people, but none of this makes their incompetence any more tolerable. The final nail in this particular coffin is just the frequency with which you encounter this kind of mission. At a guess I would say that somewhere in the vicinity of 20-25% of missions involve someone from their own stupidity. Which leaves boss fights. Luckily there aren't anywhere near as many of these. It sounds kind of weird to say that boss fights are too hard, seeing as of all the fights in a game bosses should be hard. Where Devil Survivor goes wrong is just the fact that the bosses are so much harder than everything else you fight. One would expect that if you are completely and utterly wiping the floor with every other enemy you encounter, you should at least stand some chance against a boss. You would be wrong though. There isn't a single boss that didn't give me huge amounts of trouble, despite being ridiculously over leveled. The problem here is that, if you aren't capable of at least putting up a good fight against a boss that you have to beat to advance the story, then the game shouldn't allow you to get to that point. The fights leading up to that boss should be challenging enough to prepare you for it. If you are struggling against the rabble, you know something is wrong. If you breeze through the rabble, then the boss becomes an impassable wall which you smack head first into. It's called a difficulty curve for a reason. It's supposed to be a curve. Devil Survivor's bosses provide some of the biggest difficulty spikes I have ever experienced. On a slight side note though, I did like how in the case of one of the harder bosses, the game really drives home the fact that they use fire long before you ever face them. It gives you a ton of time to think ahead and prepare your team accordingly. I still got slaughtered when I fought him though. 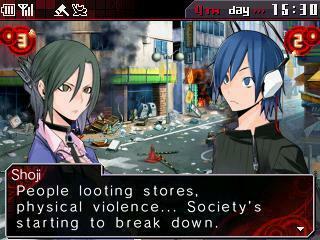 Ultimately, Devil Survivor is still a very fun game. It gives me all the things I want in a game, and I'm very glad to have played it. It has convinced me more than ever that I really need to just dive into the Shin Megami Tensei universe. It's definitely a game with some serious issues though. There aren't a lot of them, but I feel that crushing difficulty is definitely going to get in the way of a lot of peoples' enjoyment of this title in the long run. It's not a game that even pretends to be trying to appeal to anyone but the JRPG fanatics though. Some people are looking for that kind of difficulty. Honestly, I feel like this game is niche enough as it is, so maybe it's ok that it's so hard. It's not a game I ever see myself playing against though.